Looking back on the past few years of blogging, I have created many wreaths to decorate our front door and home. Each one is unique and a DIY project that I have enjoyed making. Today I have collected Thirteen DIY Seasonal Wreaths just for you. Each one has personally been made by me. 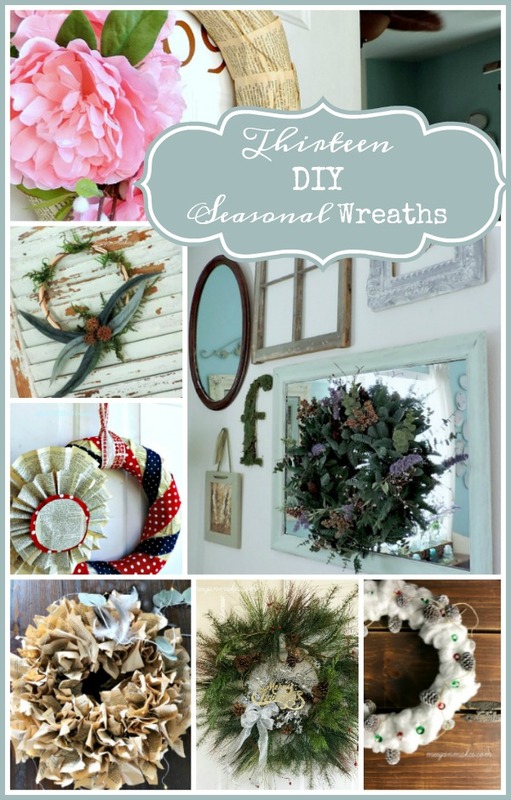 I hope as you browse through each of the Thirteen DIY Seasonal Wreaths you will be inspired to create your own. There is a wreath (or 3) for every season or Holiday for your own home. 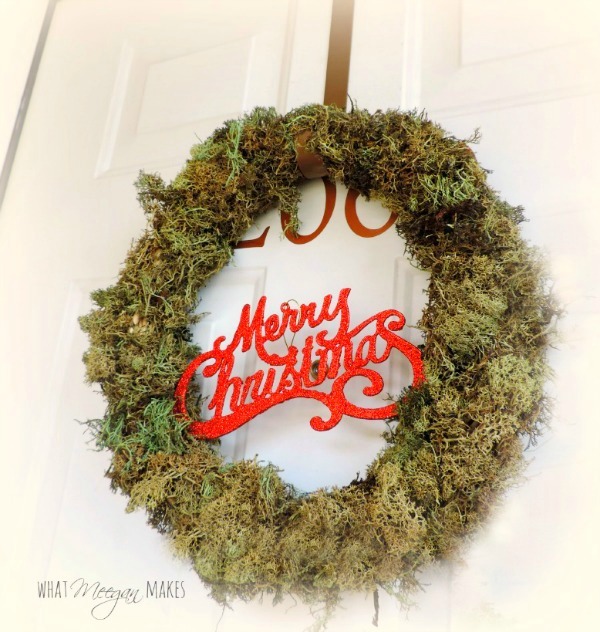 A few of my Simple and Creative Christmas Door Ideas include my own DIY Moss Christmas Wreath. With just a few simple components from your local craft store, you can create a lovely moss wreath. 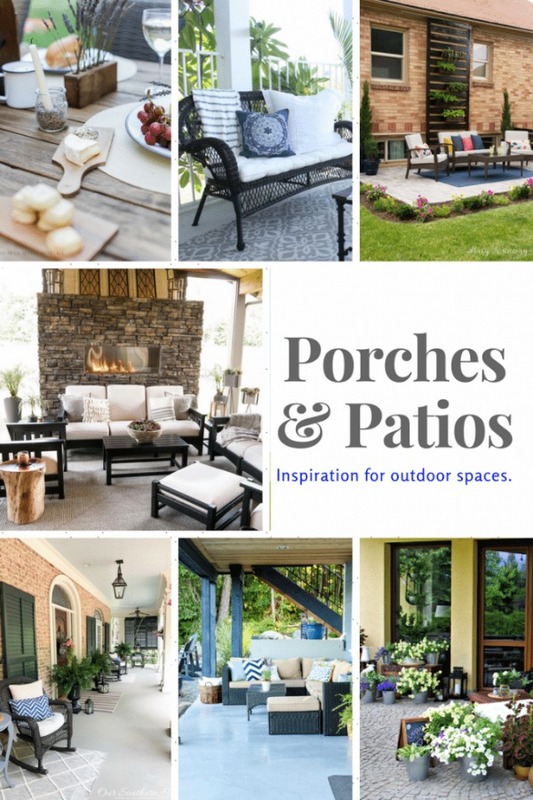 When I think of hot Summer months, I automatically think of Porches and Patios-Outdoor Living. That’s what this week’s Inspiration Monday Party is all about today. The features will inspire and excite you to create your own lovely porch or patio space. Welcome back to yet, another fabulous and inspiring Inspiration Monday Party. 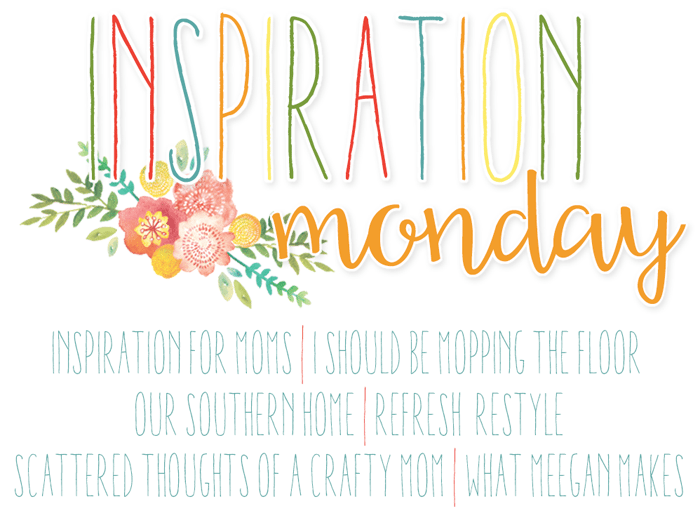 Each week, each hostess chooses their fave DIY, home decor, recipes, crafts or garden ideas to feature. 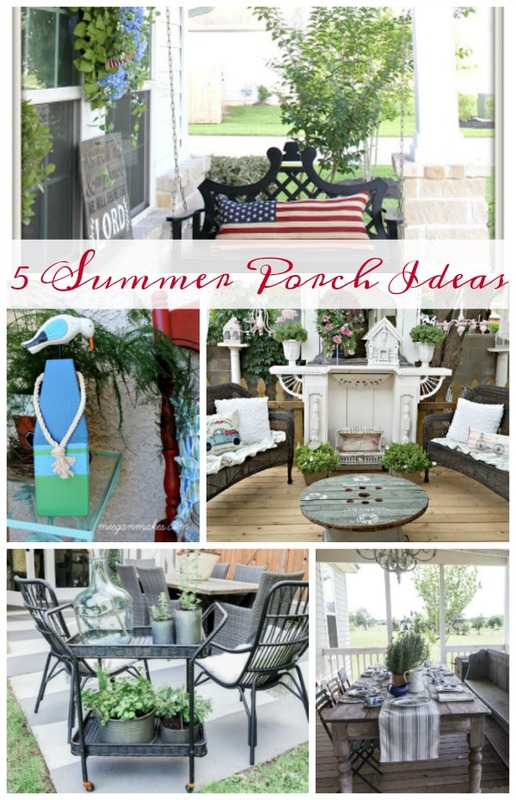 Today’s features, Porches and Patios-Outdoor Living were chosen by Debbie from Refresh Restyle.